Young Emergent Artists is a way for young artists to connect with one another and with PCNJ. Y.E.A invites young artists into our studio space during evening hours to create artwork while introducing artists to PCNJ, our space, and the community that lives within its walls. For artists looking for a space to print, and a community of artists, this is a great opportunity to visit and work in our studios. Y.E.A is held monthly at PCNJ. 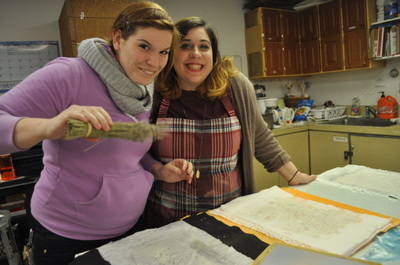 During this time, young artists are invited to the PCNJ studios to come and make their artwork. To ensure that our studios do not become too crowded, artists are required to register for each Y.E.A session they attend. Artists can fill out the registration form here. There are currently no upcoming dates for YEA! Keep an eye on our blog and Facebook page for updates on future dates. Want to attend, but aren’t working on a new project? 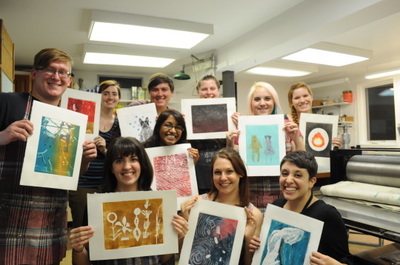 Come Monoprint! We’ll supply inks, paper, and plexiglass! Just fill out the registration form and check off that you’ll be monoprinting! 1. Attendees must be PCNJ members. Membership can be paid for online. 2. 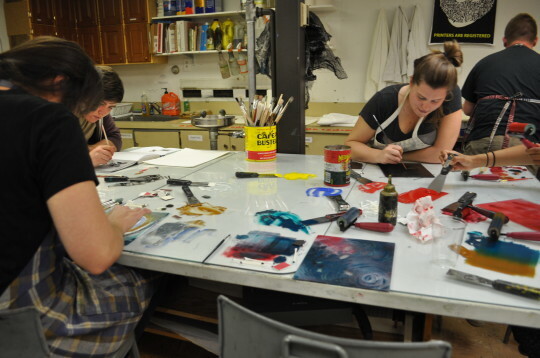 Attendees must fill out the registration form prior to each open studio date they are attending. 3. $10 Studio Fee can be paid at the door (cash, check, Visa, or Mastercard). 4. 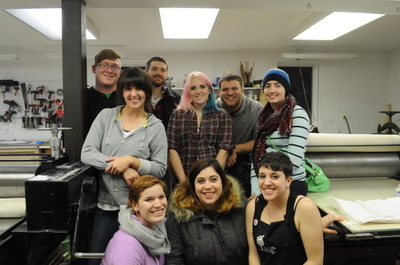 Artists may choose to bring their own supplies (paper, ink, etc.). 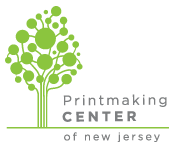 PCNJ also has supplies to purchase in our studio. A full list of material/supply prices can be found here.